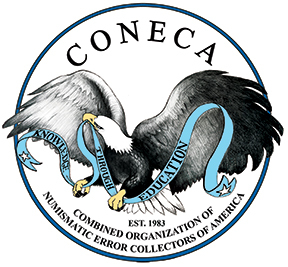 The fun started on Thursday August 9, 2007 as members gathered and renewed friendships at the CONECA table at the American Numismatic Association World’s Fair of Money in the Midwest Airline Center in Milwaukee, WI. Our club table was well equipped with a microscope, hand lenses, a good light, a micrometer, a spreading caliper, a magnet, a scale, reference books, and plenty of expertise to help convention goers identify their error and variety coins (Photo 1). 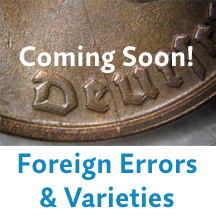 We also had eye-catching photos of Indian Head Cent errors supplied by the Fly-In Club, back copies of Errorscope and minor errors to give away, club shirts for sale, and club membership applications. On Friday evening, 33 members and guests gathered at nearby Mader’s Restaurant for a delicious German buffet (Photo 2) and an excellent presentation by Chris Pilliod entitled “Coin Metallurgy 101” (Photo 3). (Special thanks to the Milwaukee Numismatic Society for loaning us their digital projector.) Mike Diamond presented the 2005, 2006, and 2007 Dr. Lyndon King Awards that recognize the year’s outstanding member. 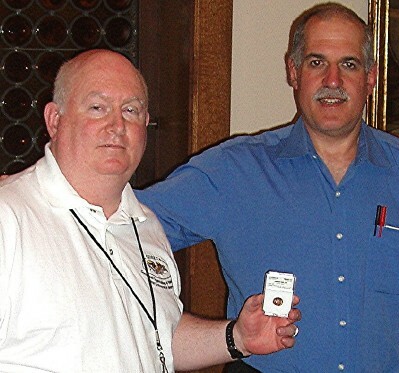 Our award recipients were Bill Cros ier, for his contribution as the club’s web technician, Frank Leone, for his contribution as editor of Errorscope, and Mike Diamond, for the numerous well researched articles he contributed to Errorscope, (Photo 4). He also presented Literary Awards to Jim Checkovich, Rick Emery, Paul Funaiole, Spencer Guiley, Frank Leone, Robert Knauss, B.J. 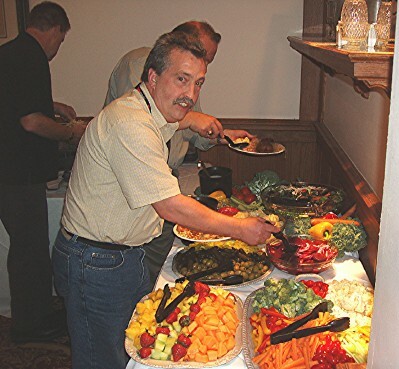 Neff, Larry Nienaber, Bob Piazza, Ken Potter, Al Raddi, Joe Rizdy, Lee Roschen, Bill Slaughter, Russ Vander Meulen, James Wiles, Jose Cortez’, Gene Nichols and Jeff Ylitalo for their contributions to Errorscope in 2006 and 2007 (Photo5). The Literary awards for this year were in the form of 1869/9 Indian Head cent reproductions that were ordered doubled struck by the Royal Oak Mint special for CONECA and encapsulated in a PCI Signature Series holder with the insert signed by president Diamond. 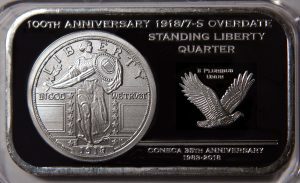 The encapsulation services were supplied to the club as a courtesy of JT Stanton/PCI while the repro coins were donated by Ken Potter. Kenny Knapp recruitment awards (given to those who recruit 25 or more members) were given to Ken Potter and Frank Leone. Lee Gong sold tickets for the Winners’ Windfall banquet drawing (Photo 6) and seven lucky winners took home lots with items donated by Mike Diamond, Mike Ellis, Paul Funaiole, B.J. Neff, Ken Potter, Joe Rizdy, Fred Weinberg, James Wiles, and CONECA. The auction raised $320 for the club’s Young Numismatists fund. We also announced the winners of our regular Winner’s Windfall drawing. Ten members also took home door prizes – five copies of the Top 88 Coins to Buy and Sell book donated by the author, Scott Travers, and five copies of the Top 100 Lincoln Cent RPMs & OMMs e-book donated by the author, James Wiles (Photo 7). On Saturday morning, members gathered for a club meeting, and Mike Diamond reviewed ongoing club projects (top). Later that day, members gathered again for the presentation of the Cherrypickers’ Awards. John Whitworth won in the varieties category for picking a BU 1944-D/S type 2 Lincoln Cent, and Gary Smith won in the errors category for picking a BU 2006-P North Dakota Quarter with a cud at five o’clock (Photo 9). Approximately 10,000 people attended the show, our club table had plenty of visitors (Photo 10), and we gave away all the back issues of Errorscope and error coins that Mike Diamond donated. On Sunday, members headed home – already making plans to meet in Baltimore, MD for Errorama 2008 (Photo 11). 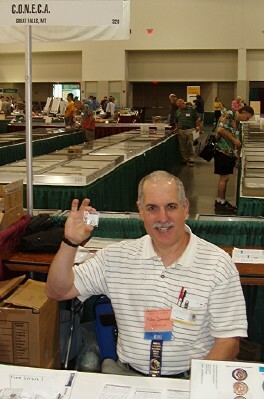 Mike Diamond takes a shift at the club table and holds up one of the error coins that he brought to give to visitors. Joe Rizdy tops off his plate with in the buffet line at Mader’s Restaurant. 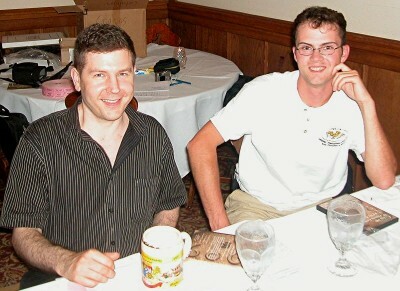 In addition to his presentation at the club banquet, Chris Pilliod (left) gave a presentation with Rick Snow (right) entitled “Secrets of the Wisconsin Extra Leaf Quarter Revealed”. Here they take questions. 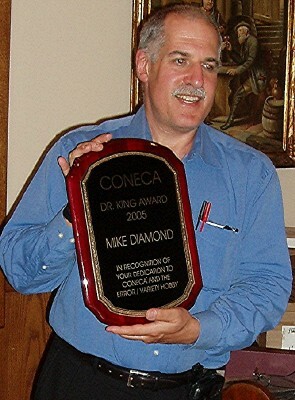 CONECA president Mike Diamond, the proud recipient off the Dr. King Award for his dedication to CONECA and the Error/Variety hobby. 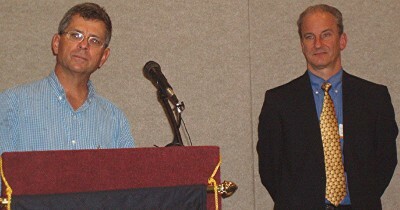 James Wiles (left) receives one of a number of Literary Awards given out that evening by Mike Diamond (right) that contains a Royal Oak Mint reproduction of a double struck 1869/9 Indian Head Cent in a personalized “CONECA Literary Award Slab” with the insert signed by president Diamond. 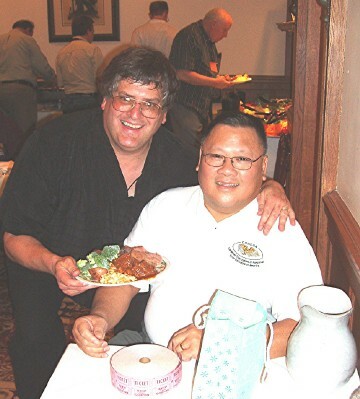 Lee Gong (right) sells Winners’ Windfall tickets at the banquet as Lee Roschen tempts him with a heaping plate right off the buffet line. The Top 100 Lincoln Cent RPMs. 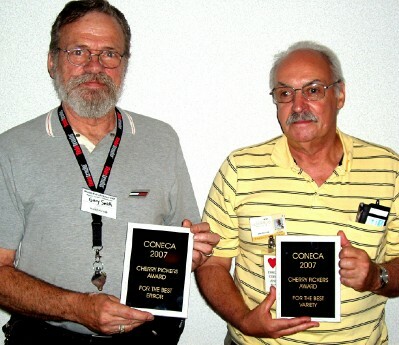 Gary Smith (left) and John Whitworth (right) show their Cherrypickers’ Awards. 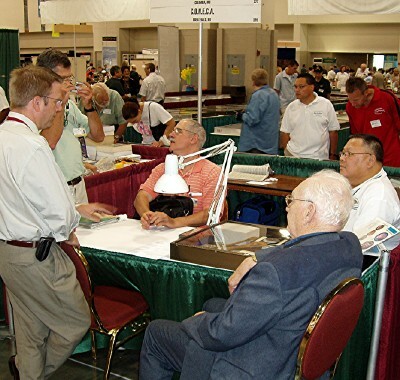 At the club table, Tom Hallenbeck, Allen Herbert and Lee Gong (left to right) pass some time together in the foreground while Chris Pilliod (left) and Mike Diamond (right) examine a coin in the background. 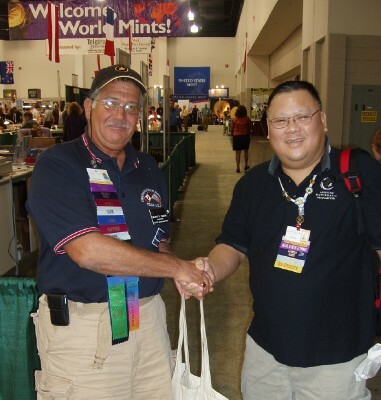 Good pals, Stan Turrini (left) and Lee Gong (right) promise to do it all again at Errorama 2008 in Baltimore, MD.